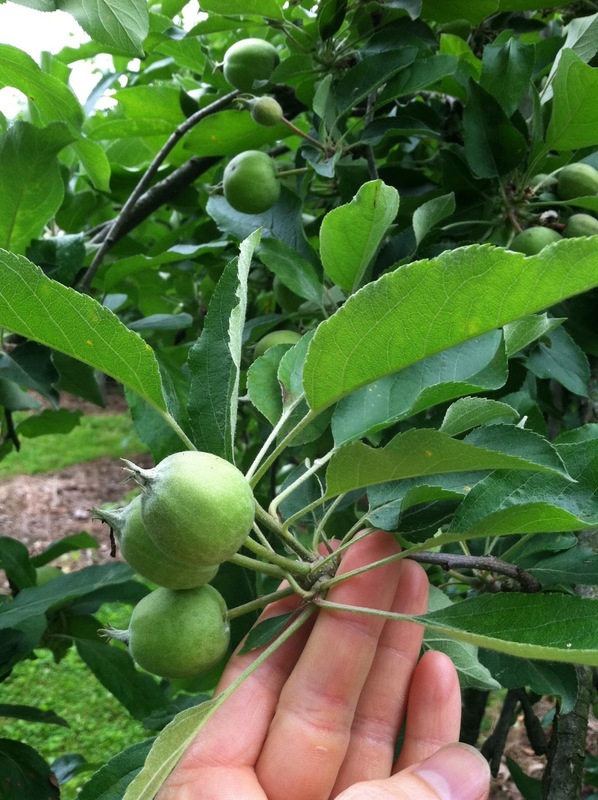 Lee's Orchard, leesorchard, apples: Early June at the Orchard! 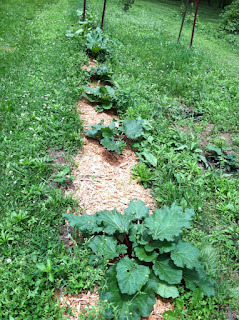 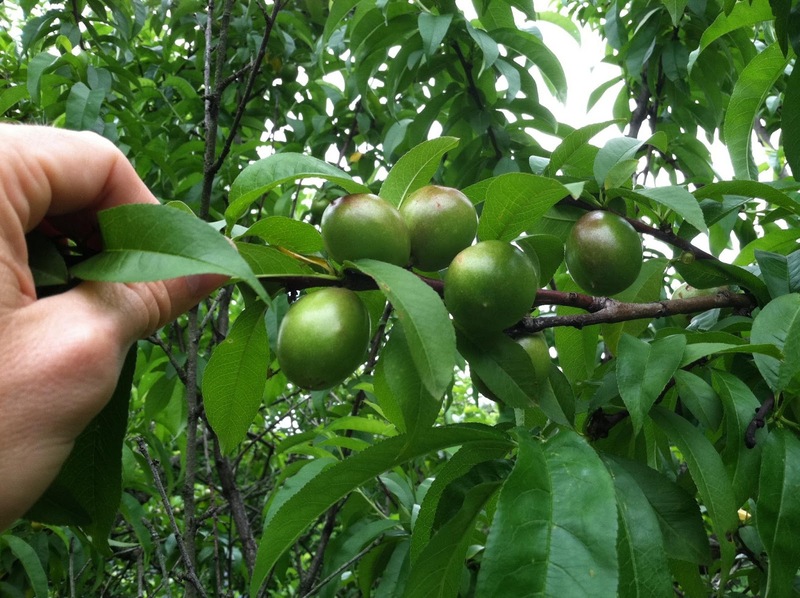 Early June at the Orchard! 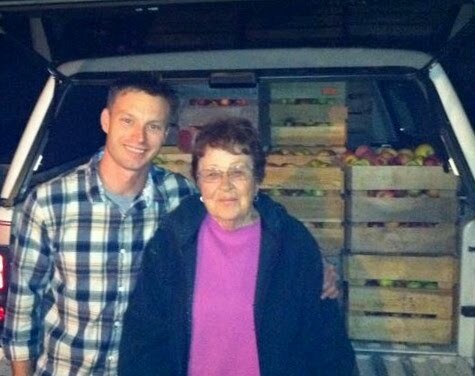 Mini me and I visited grandma and the orchard today and things are looking very good for this coming season!!! Rain has been good for the plums. 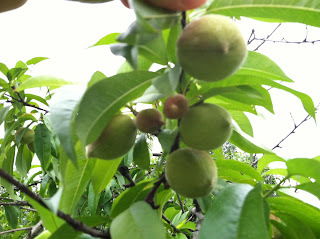 The Santa Rosas are about 1/3 the size they'll be when we pick them and they are already showing some color. 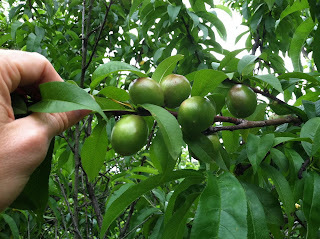 Plums drop very little fruit and require a lot of manual thinning. The apple trees are loaded and starting to fill out! 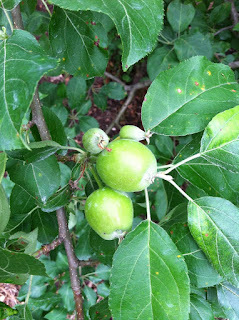 This bunch of apples illustrates what is about to happen: Apples generally set on more fruit than a tree can support and in June they undergo what is called 'June Drop,' where some of the excess fruit stops developing and drops from the tree.